Tulle & Combat Boots: dots & burgundy. Happy Monday! Last week was crazy at work, but very good on Twitter—Anthropologie retweeted me! So exciting! I'm not too blogger-y to admit when brands notice my outfits, I get excited. 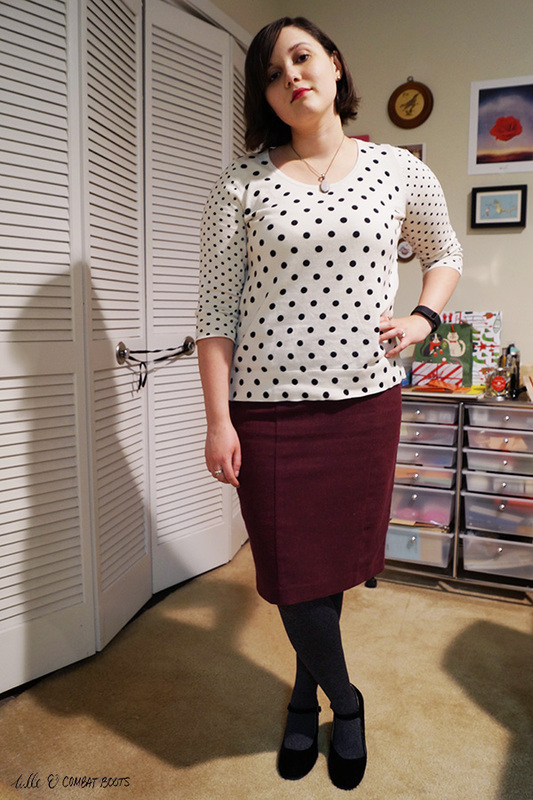 Anyways, just a simple work outfit with some good staples: a sweater, a pencil skirt & comfortable wedges. I didn't realize until now that this outfit is almost all Target...whoops! 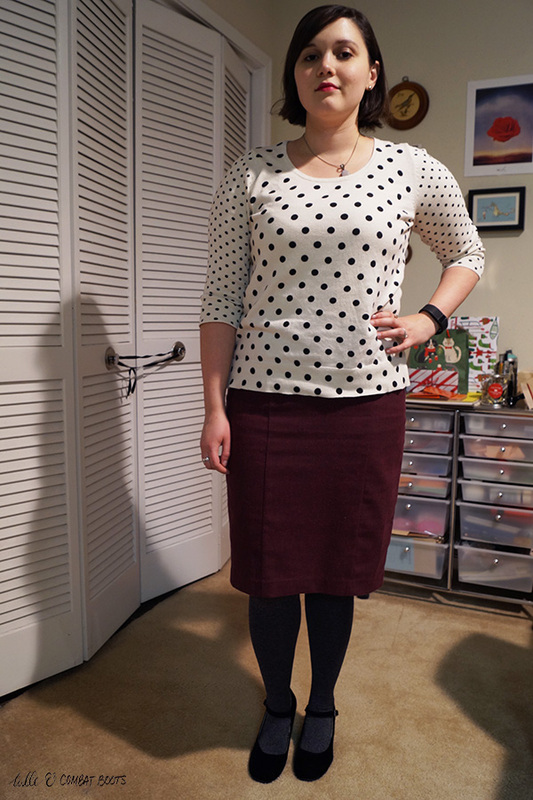 This sweater & skirt were two of my first ThredUP purchases and I'm still really glad I snagged them! So, these wedges: they feel like wearing flats, they were $12, and they're actually good quality. It's a miracle. My coworkers loved them so much they immediately bought a pair! And they come in a range of colors (I may have gotten a second pair in burgundy suede...).